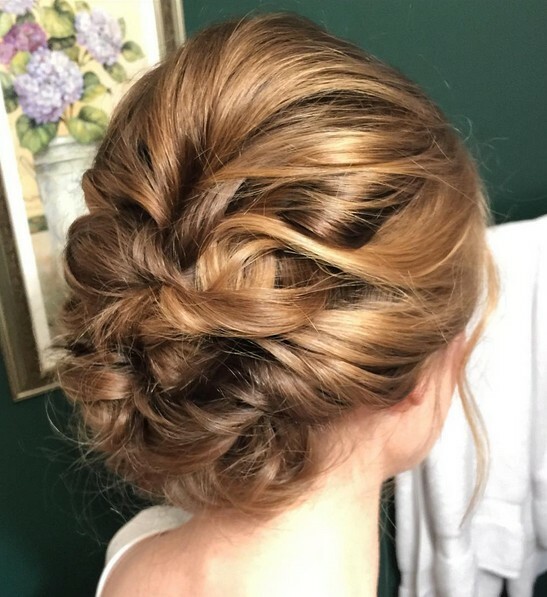 Elegant events- like a wedding, a prom, homecoming, or other high class events- require one thing: a classy updo to match your most beautiful dresses. These lovely updos for medium length hair are not only gorgeous, but they’re super trendy too; a perfect combo for your special night. 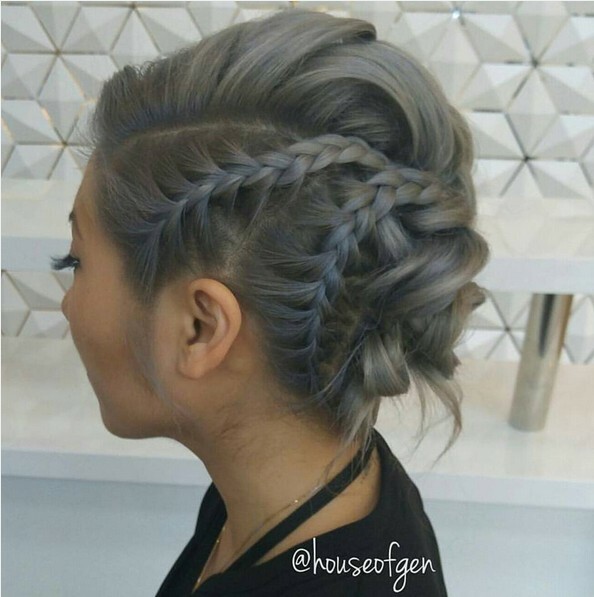 This lovely medium lengthy updo is divine, from the gorgeous grey base to the dazzling light lavender hues blended in. 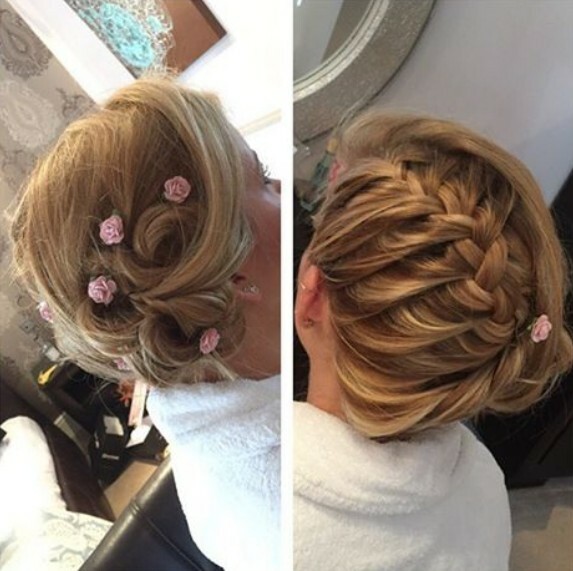 The double braids off to one side correlate into a beautiful tousled updo, with plenty of height on top to add some serious volume. This look gets ten out of ten stars on the trend scale! Her flawless style features a lovely mix of braids, from a simple three strand braid on the right side to double fishtail braids down the middle side. The bulk of her updo features an extra-chunky style braid, creating a highly dimensional style that’s got plenty of volume and sass. A rather enticing style, her sophisticated updo is made up of an extra large braid from top to bottom, creating plenty of bulk that looks fabulous with her beautifully colored mane. There’s only way to describe this awesome ‘do: COLORFUL! 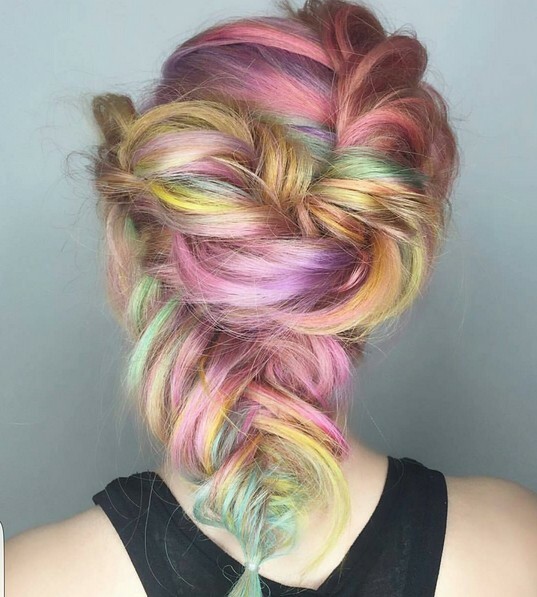 She combines a beautiful blend of vibrant, exotic shades of coloring including purples, greens, yellows, and reds for a ‘do that’s bursting with gorgeous hues, all tousled together into a fascinating braid that leads down to a messy fishtail braid. Classy and divine, her voluminous updo features a knotted style that’s bursting with glam and sophistication. 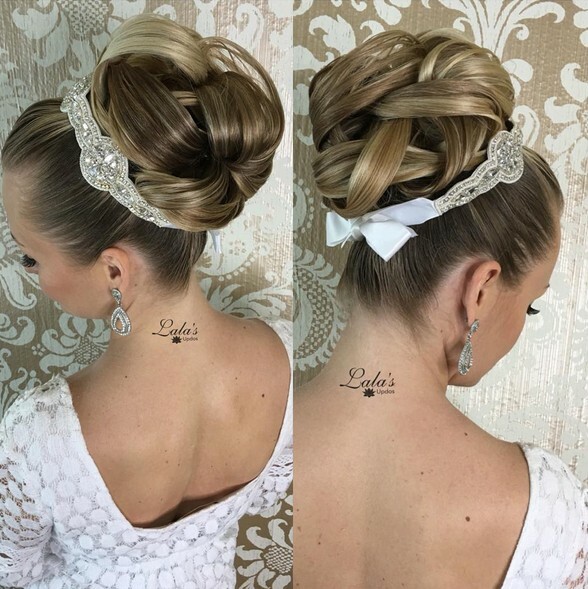 She adds a stunning white and jeweled wrap around her updo to really make her look stand out magnificently, and matching the dress it pulls her look together wonderfully. 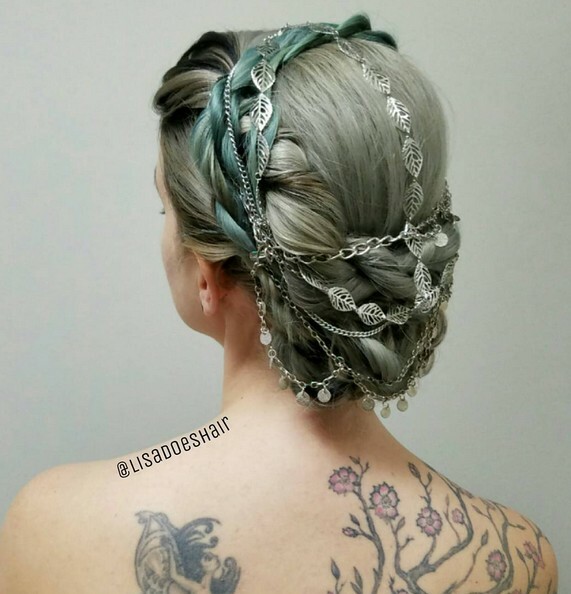 There’s so much to love about this unique yet elegant piece, from the glamorous grey and blue hues locks to the fascinating and magnificent head wrap she lays gracefully over her updo. Such a thrilling, eye-catching hairstyle. 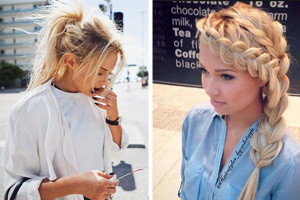 Milkmaid braids are the epitome of femininity, and SO ARE CURLS! Combine the two and you have one incredibly dainty style that’s fit for a princess. 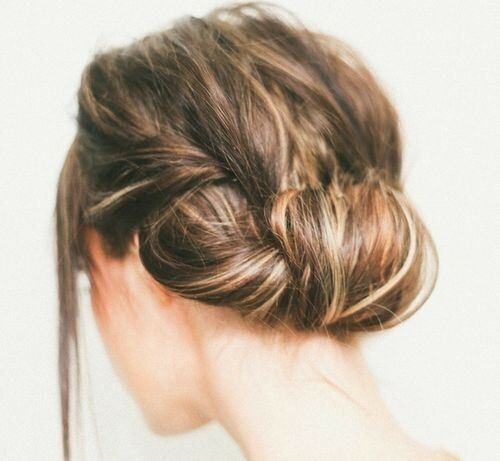 Twisting your hair up into a glamorous updo may be easier than you think! Just look at this lovely hairstyle, it’s a simple bun with the hair wrapping around for a very enticing finish. Great choice for older women! Braids, braids, braids all around! This fabulous style features braids and plenty of twists and turns, as well as height on top for a seriously sophisticated finish. To get this feminine and dainty look, start off by adding tons of delightful waves to your mane. 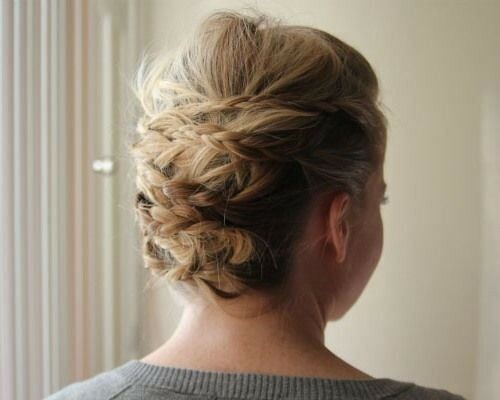 Add in a milkmaid braid going back towards a messy low side bun. 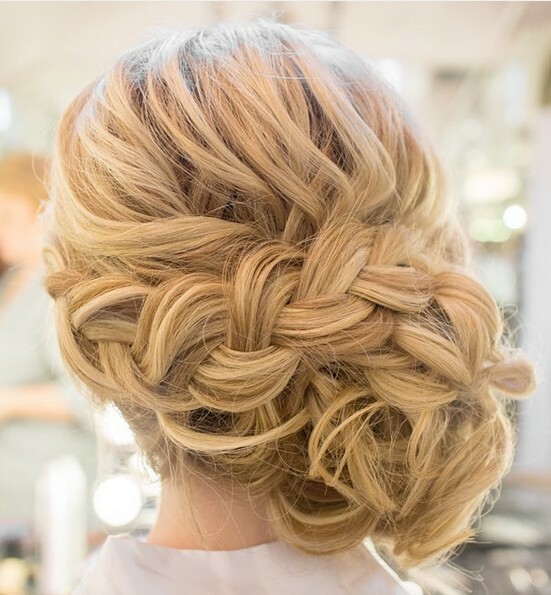 Loving everything about this glamorous, elegant ‘do! This blend of braids is absolutely fabulous and loads up her locks with TONS of awesome volume! 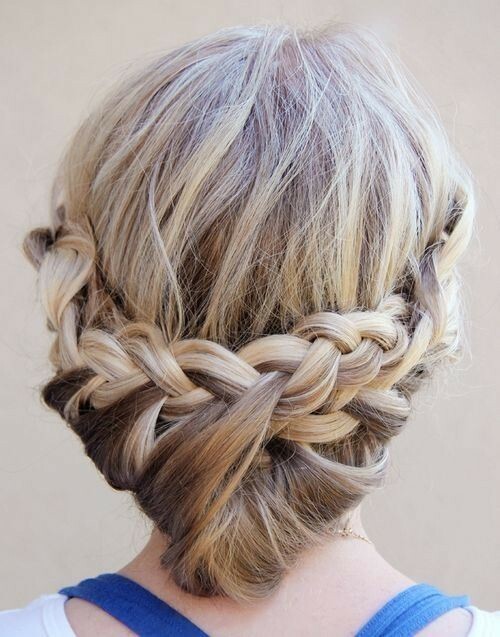 It’s a chunky braid on one side, with an incredibly voluminous braid on the other. The end result? 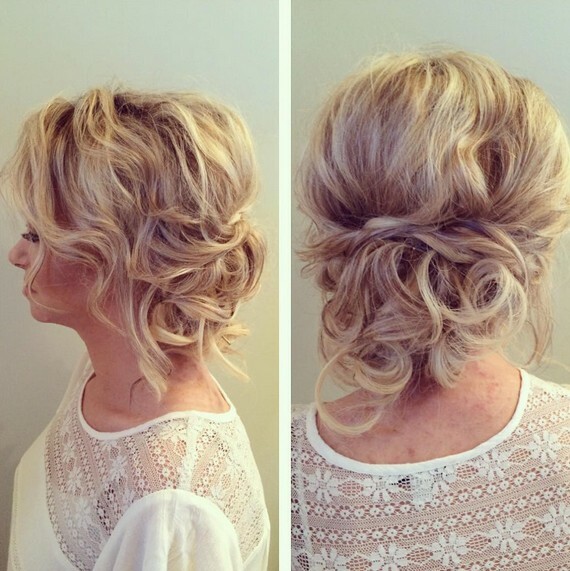 An updo that’s built up with bounce and bulk, but remains feminine and delicate at the same time. WOW! Want BODY? Want CLASS? Then start off by giving your mane tons of delicious waves, then throwing it into a chignon for a heavily divine style. Looks awesome with a white dress! 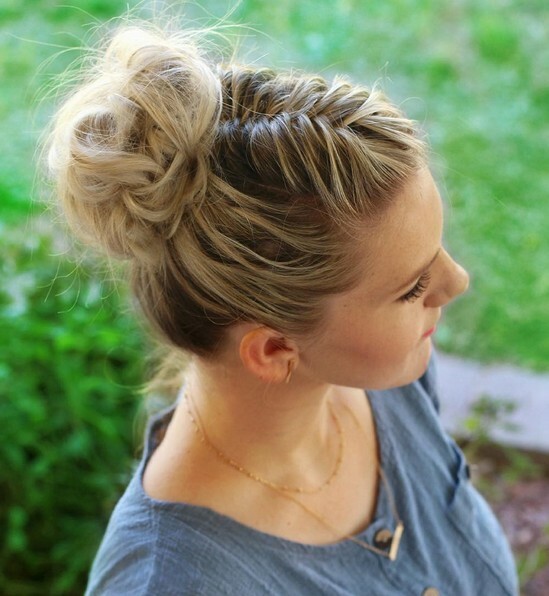 Sure, leaving your hair with a simple middle-height bun is a great idea; but why stop there? Adding just a single tiny accenting braid on one side adds tons of dimension and cute volume, so consider this the next time you’re throwing your hair up! A braid on one side and a unique set of twists on the other? 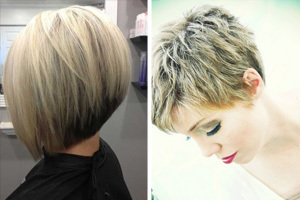 This is a two-toned look that’s full of funk and dimension- as well as CLASS! She adds a few little flowers to her locks as well for a feminine finish. We have to start off by saying how absolutely enchanting her hair color is! 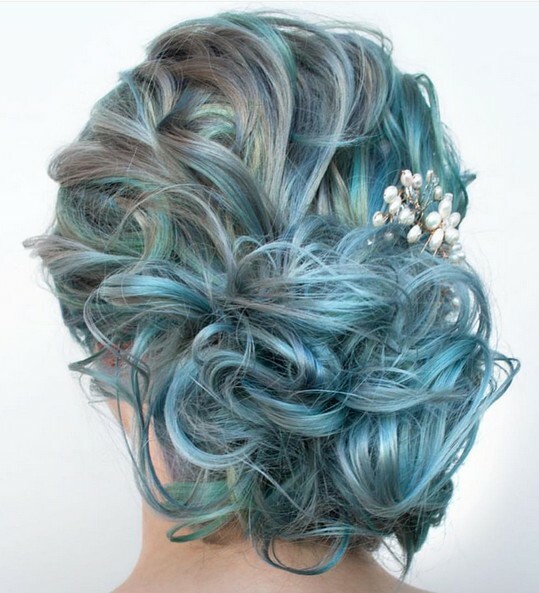 The delightful combo of grey and bright blues creates a very electrifying style, and she gives her mane some serious beautiful body by adding tons of waves, and tossing it into a side bun. 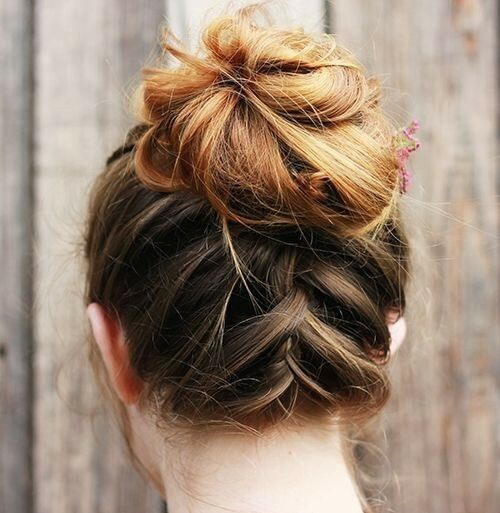 By adding a dazzling accessory to her bun, she finishes her style with plenty of elegance and class. A low bun is a flawless way to add elegance to your mane in a matter of seconds, but what really makes this hairstyle divine and glamorous is the waterfall braid leading down to it. 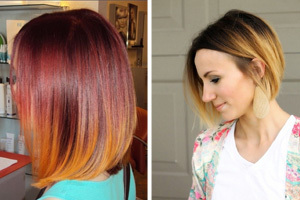 Best part is, you can complete this stunning style in just a few minutes. 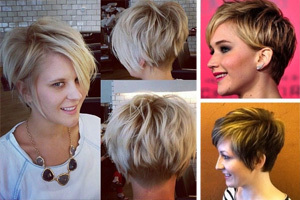 This is undoubtedly one of the chicest and most elegant hairstyles on this list! It’s a beautiful correlation of knots and twists, all wrapped up into a bulky and sweet style that can work wonders anywhere. 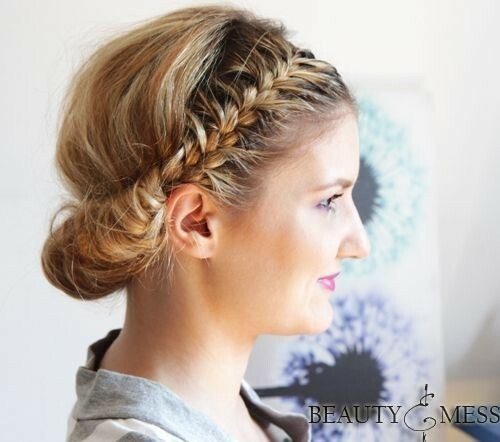 Combine a milkmaid braid with a chignon for a look that’s truly unique and fabulous. Tousled, twisting, and turning, her take on the classic chignon is downright fabulous. She also leaves a bit of hair loose around the front of her face to soften her features. 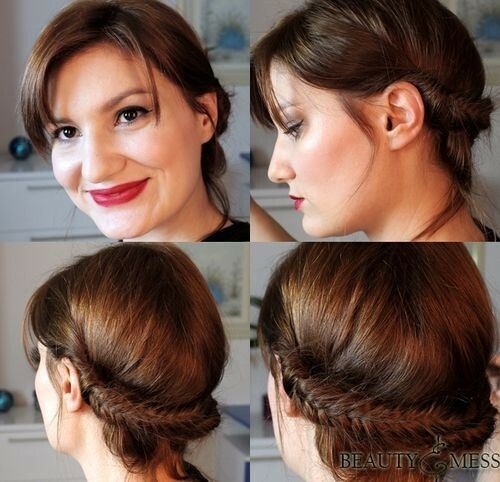 Take your milkmaid braid to an all new, exotic level by transforming it into a fishtail braid! So dimensional, so quirky, and of course so fabulous. Works well with light AND dark makeup shades. This is your basic chignon– and it’s oh so elegant. It’s the epitome of high style and high class, and looks gorgeous next to some beautiful dangling earrings. Her brown mane is also glammed up with a few light brown highlights to add some contrast that’s truly divine. Side braids are SO cool and fabulous, and doubled with a messy braided bun it’s a trendy overload that can work in casual situations as well as glamorous ones! 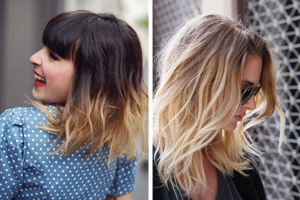 Loving her hair color as well, a gorgeous tone that’s loaded with highlights and lowlights for a sunkissed finish. Oh, so sleek! This adorable number is great for younger girls and older women alike! 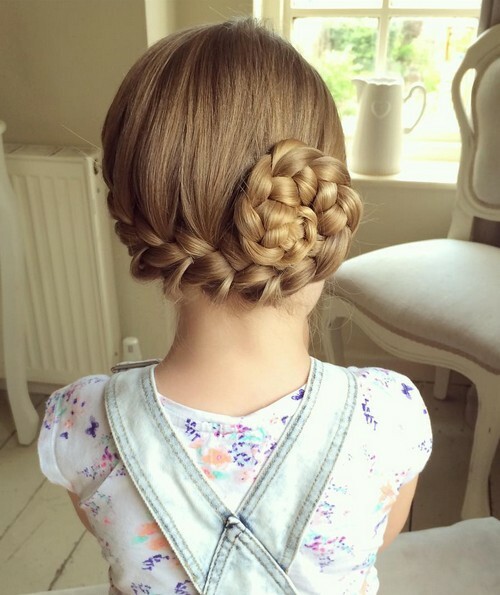 A divine milkmaid braid sweeps at the bottom of her head, leading over to a gorgeous braided side bun. So beauteous! 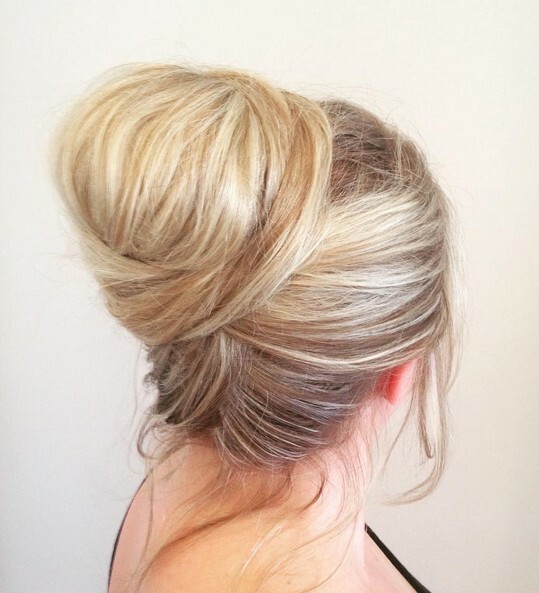 Buns are a seriously hot hairstyle trend for 2016, and looks great on women of all ages! 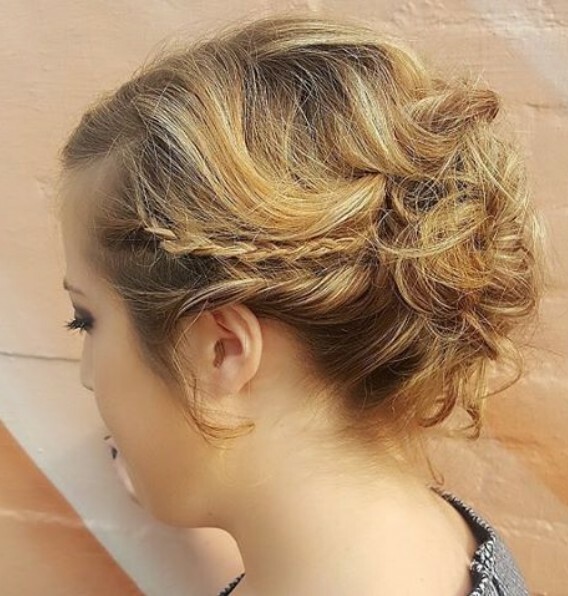 This simple yet adorable ‘do has a middle fishtail braid leading back to a messy bun. It’s a really quick and easy way to add a bit of glam to your hair- complete this style in just a few short minutes and be on your way! 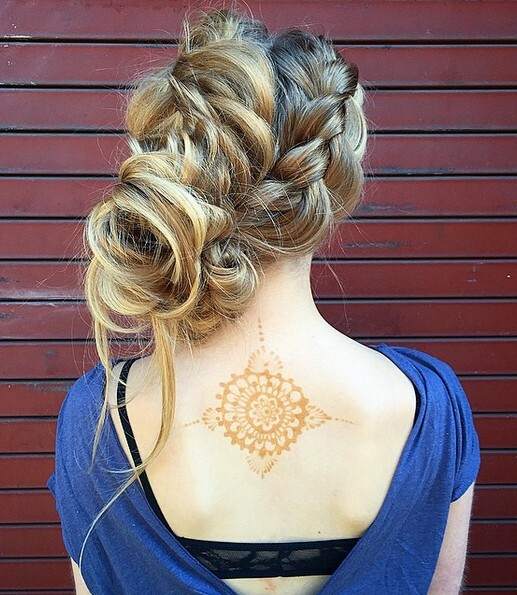 Looking for a classy updo with a bit of funk? 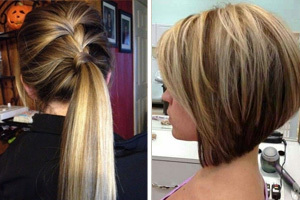 Then consider this zig zag hairstyle! 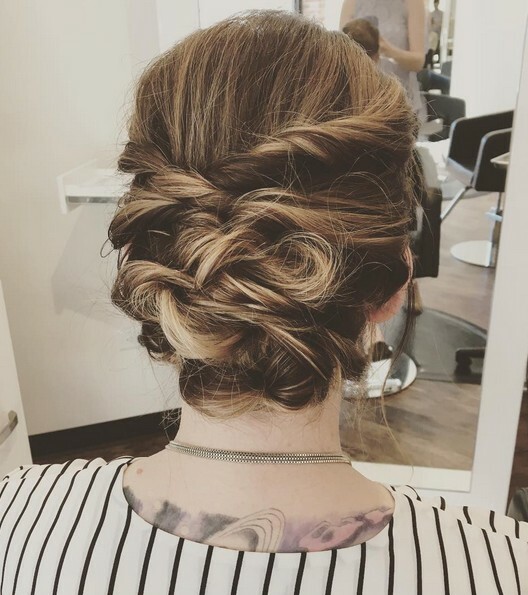 It’s loaded with fun dimension thanks to the alternating braids scattered throughout the voluminous updo, and this look pairs well with any of your favorite classy outfits. 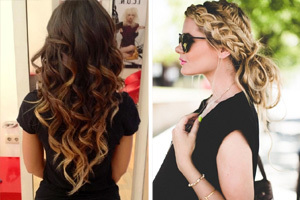 Why leave your hair boring in the back when you can add a gorgeous braid underneath? 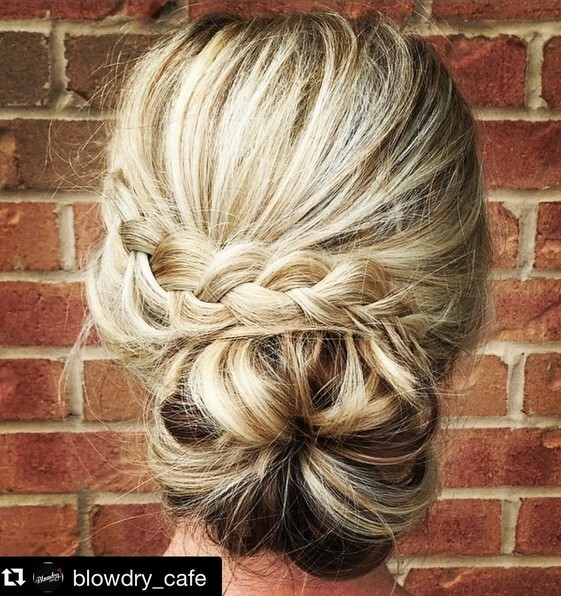 This lovely little braid leads up to a messy topknot, one of the trendiest updo hairstyles of the year. 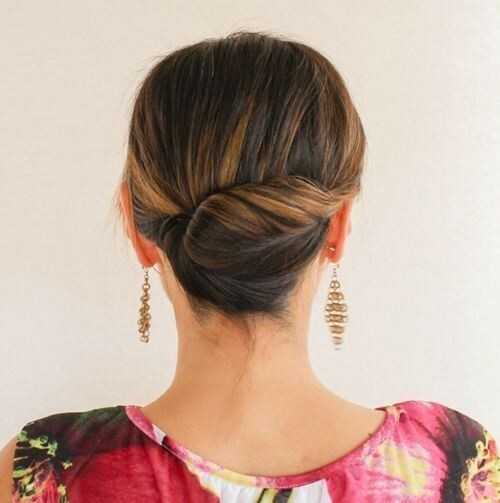 Works well with literally any dress and you can put this cute updo together in a matter of minutes- even maybe ONE minute if you’re quick! Milkmaid braids are so adorable and feminine, and wrapped up into a chignon with a little extra body on the crown really makes this dainty ‘do stand out. Pair it with some soft makeup for a delicate ‘do to accompany you to your party. Pophaircuts.com which one of these updos will you sport for your next event? 10 Chic African American Braids: The Hot New Look!10 Chic African American Braids: The Hot New Look!